The National Trust owns and looks after the Golden Cap Estate. There are over 30 miles of footpaths. 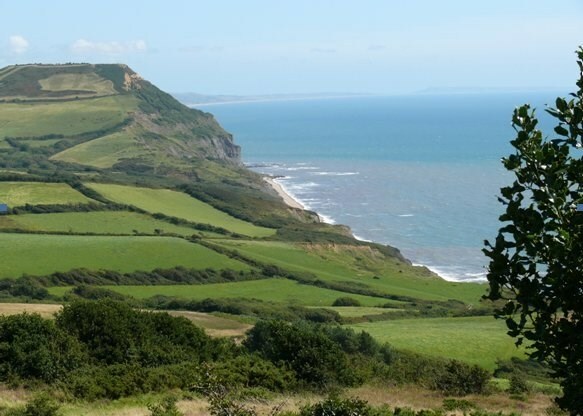 Golden Cap, the highest point on the South Coast at 626ft (191m), attracts more than 250,000 visitors each year. The name comes from the layer green sand that forms the top of the hill. When this is exposed by erosion the iron in the sand reacts with the air turning it a distinctive golden colour. Seen from the sea this gives the hill a distinctive “golden cap” and its name. Not far from the cache are the remains of a series of Bronze age barrows dating from around 2000BC, originally there was a line of these but now there are only 3½ left. When these barrows were built the cap was about 1½ miles away but at current erosion rates they will all be gone within 50 years. More recently the top of the cap was the location of a Napoleonic era signalling station. Here for 20 years between 1796-1814, in the signalling hut lived, all year round, John Twisden with his family and assistants. Each addition to his family was baptised at the near by St Gabriel’s Chapel. The least challenging approach to this cache is from the Langdon Wood car park (3km / 2 miles). For a more challenging walk approach via the South West Coast Path from the west starting at Stonebarrow Hill car park (7km / 4½ miles). Alternatively, if you want to claim you have climbed all 191 metres, start at sea level from the beach at Seatown and arrive from the east via the South West Coast Path (4km / 2½ miles). Subtract the smallest from the largest. If at the Eastern Approach add 3. N50 43.( ? + 33 ) & W002 50.( ? + 79 ) is your final destination. The cache is a small clip-top box, with log book, pencil, etc. There is room for small tradables or travel bug. 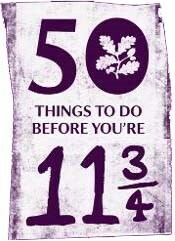 Enjoy walking on the Estate and Happy Caching. Ahzoref: guvax gjb tebhcf bs guerr, abg whfg qvtvgf. Gur ebbgf bs n cevpxyl byq zna, abj ynvq ybj, jub srrqf gur oveqf jvgu erq oreevrf va nhghza, xrrcf zr fnsr.